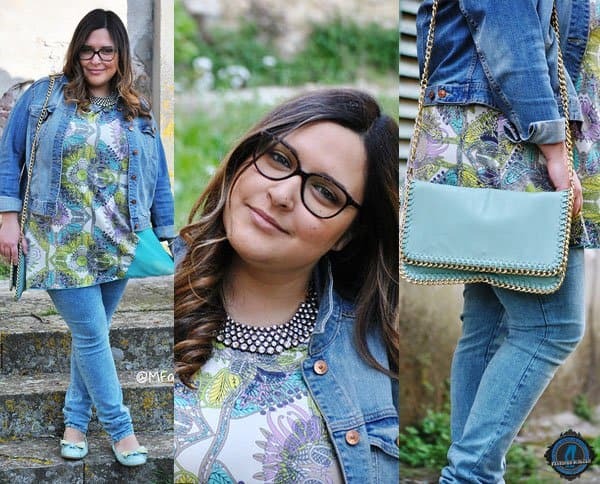 Most plus-sized women tend to stay away from skinny jeans for fear that it would look unflattering on them – on the contrary, hiding under layers of baggy clothing will give the illusion of additional weight. Women of any shape or size should not hide under loose clothing but should rather experiment with cuts and styles that would emphasize their good points. Also, with the wider variety of plus-sized clothing coming out today, wouldn’t it be a shame to not exercise your creative freedom through fashion? 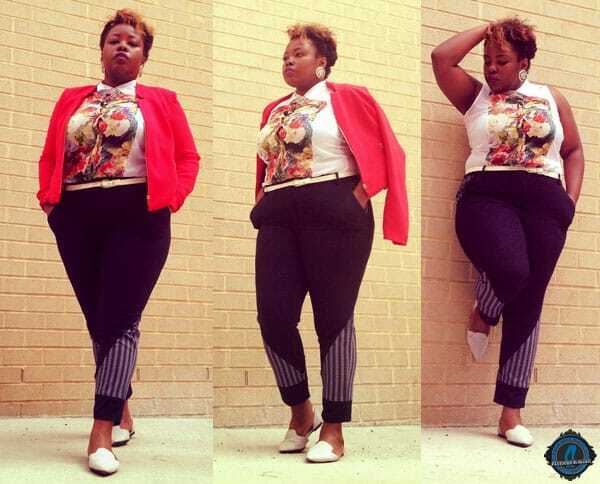 Here are five beautiful looks from women who fearlessly flaunted themselves in skinny jeans. Plus-size body types still differ in proportion – it’s very important to be aware of areas in your body that need to be accentuated and toned down in order to achieve the body ratio that you desire. Pick out dark wash jeans with an angled accent around the ankle to emphasize the hip area, creating a slimming look towards the bottom. 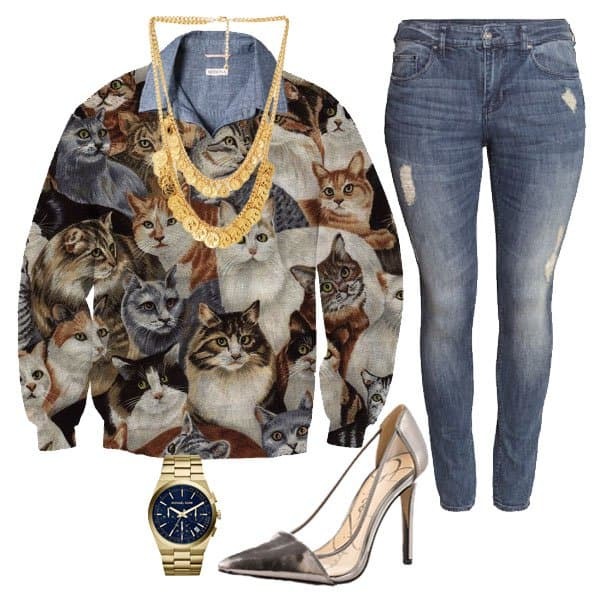 Pair it with a pattern/graphic top to pull the eyes toward the torso. A little pop of color wouldn’t hurt. 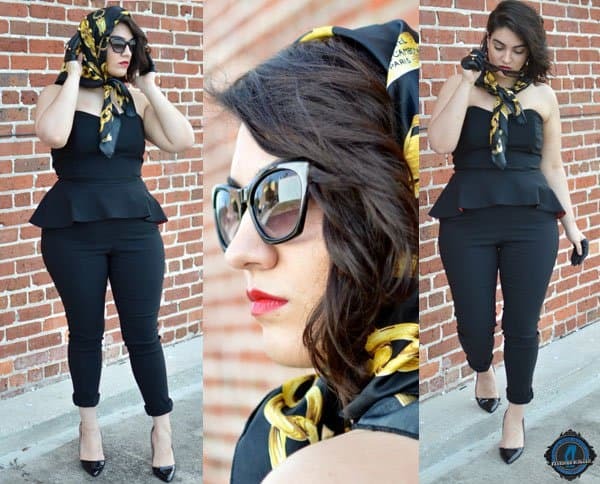 Since learning that dark clothing can create a slimming effect, some plus-sized women tend to douse their closets with black clothing, becoming a uniform of sorts that leaves out the fun in putting outfits together. While some do all-black ensembles the wrong way (aka sloppily putting together any dark clothing that they can find), some do it the right way. Pair dark denims with a peplum top to make your torso and legs look slimmer against the hip area. Wear them with pointed toe pumps, a scarf, and sunglasses for that 50’s bombshell look. If you’re not a big graphic print or pattern person, another chic way to draw attention to other parts of the body is to insert little pops of neon here and there. Since neon can be pretty loud, even just a little bit in a necklace can go a very long way. Pair your dark wash/black skinny jeans with a collared top together with your neon accessories. Throw in a bright cardigan to brighten up your look even more. 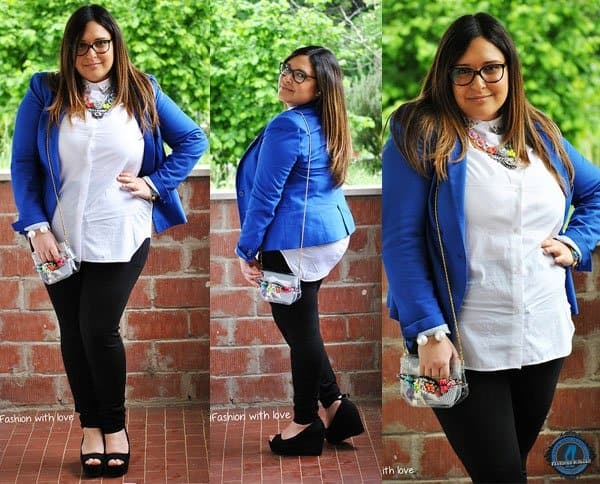 A lot of plus-sized women tend to stay away from light colored jeans since it can give the illusion of wider legs and bottoms. However, if you get these simple tips down pat, you’ll find a spot in your closet for these gorgeous faded babies. First, it is important to get skinny jeans that fit you well. Forget your “normal size” – try on other sizes that fall within your size range and take note of how each one fits. Second, try to stick to mid rise jeans – low cut ones may be uncomfortable when bending down and high waist ones may look unflattering (though we welcome you to experiment with the latter). Third, if you’re still not comfortable with light colored jeans, then long tops are your best friend. Shop with these three in mind and you’ll find a friend in light washed jeans in no time. While we don’t recommend giving in to the temptation of covering yourself up with the first baggy sweater you see in your closet, we don’t recommend scrapping it entirely from your wardrobe either. In fact, we’ll even encourage you to do some layering. Common belief has it that layering will only make you look frumpy but this is not always the case – layering actually helps break your look down into several smaller areas, making it easier and more interesting for the eyes to look at. Layer a chambray shirt with a sweater and hop into your skinny jeans. Finish the look with pointed toe heels for a classy but street chic look.